There are two times in the year when a lot of us brace ourselves for what our energy bills are going to look like: winter and summer. In the wintertime, we’re doing all that we can to keep warm and during the summer months, it’s just the opposite; the colder we are, the better. If you’ve already surrendered yourself to the fact that you should expect to spend a hundred (or even two hundred) more dollars during June, July and August, that doesn’t have to be your reality. We actually have five ways that you can keep your home cool, without depending on your air conditioner. 1. Get some heat-reflecting curtains. One of the first things that you should do is go to your local K-Mart or Target to get some heat-reflecting curtains. They are specifically designed to reflect heat away from your home and they are especially beneficial if you make sure to close them on the south and west facing windows during daylight hours. If you have a flair for home dÃ©cor, you can also make some of your own. Just go to Lifehacker and put “Do It Yourself Heat Blocking Curtains” in the search field. 2. Use your fans more. A lot of us have ceiling fans or even portable ones, but we don’t think to use them nearly as much as we should. Turning on your fans are going to require much less energy than cranking up your air conditioner. 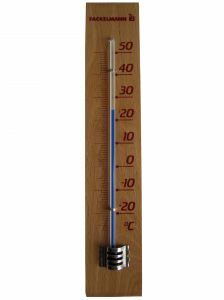 In extremely warm climates, you might even want to look into purchasing a whole house fan or evaporative cooler. They will run you anywhere between $150-400 but they can reduce the amount of energy that you use with your air unit by about one-third. 3. Be more “energy aware.” Many things that require energy within the home can also raise the overall temperature within the house. So, make sure to do simple things. Use the microwave more than your oven. Turn off the lights when you leave a room. Use your washer and dryer and washing machine only when you have full loads (and opt to air dry your dishes if possible). Install some compact florescent light bulbs (they use one-fifth less energy than standard bulbs do). And make sure to take showers rather than long baths. It will cool you off just as quickly without using as much water in order to do so. 4. Adjust your bedding. Say that your air conditioner goes out and when you contact Conroe Air Conditioning (or an air conditioning company in your area), they say that it will take them a week (or two) in order to come out. Most of us will agree on the fact that while it can be uncomfortable to be hot during the daytime, lots of heat can make you absolutely miserable at night. A couple of things that you can do to make it more bearable is to use satin or silk bedding; it feels smoother and keeps you cooler as you sleep. Also, put your pillowcases and socks in a plastic bag and then place them in the freezer 1-2 hours before you turn in. When your head and feet are cool, it helps to cool down the rest of your body too. 5. Drink more water. It’s simple, really. The more hydrated our bodies are, the cooler we will feel. The great thing about summer is that you don’t have to limit water to simple a glass of H2O. Make some tea. Buy some pop cycles. Or have some mineral water with lemon or lime slices. Just make sure that you’re drinking plenty of fluids. Your body (including your body’s temp) will thank you for it. All summer long. 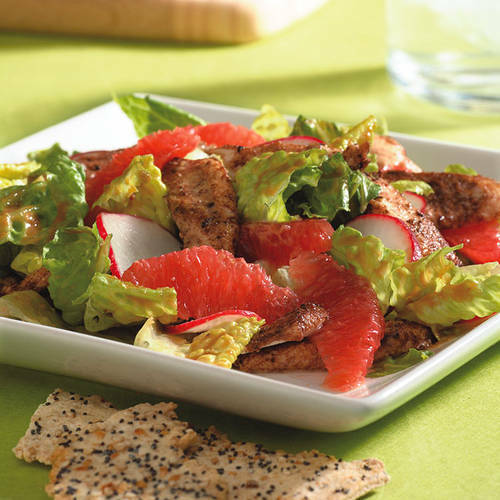 Combining tart, ripe grapefruit with chicken satay and spices into a salad makes for an unusually tasty pairing! 3. Toss chicken, dry mustard, garlic powder, cinnamon, coriander, ginger, pepper and salt in a large bowl until the chicken is well coated. Place on the prepared pan in a single layer. Broil the chicken until cooked through, about 5 minutes. 4. Meanwhile, whisk peanut butter, soy sauce, sugar and hot sauce into the reserved grapefruit juice until smooth. Add the cooked chicken and lettuce; toss to combine. Serve the salad topped with radishes and the reserved grapefruit segments. Yes – these are like little cushions for baby’s knees as they cruise around crawling on all fours! 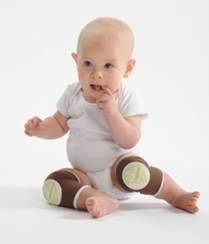 “Mom” loves these adorable tiny knee pads designed for baby’s knees as your little one learn to crawl and walk. Ah Goo Baby’s Kneekers are the perfect anytime accessory for babies on the go – their soft, cushioned padding and protective outer shell cradles your baby’s precious knees to shield them from carpet burns, rough surfaces, and abrupt falls. With “Mom’s” baby now on the move, army-crawl style, these cute little knee pads have definitely come in handy – providing her baby with a sense of comfort and security. Kneekers are made from BPA and Phthalate-Free soft materials, and available in a variety of colors and patterns for your stylish tot. 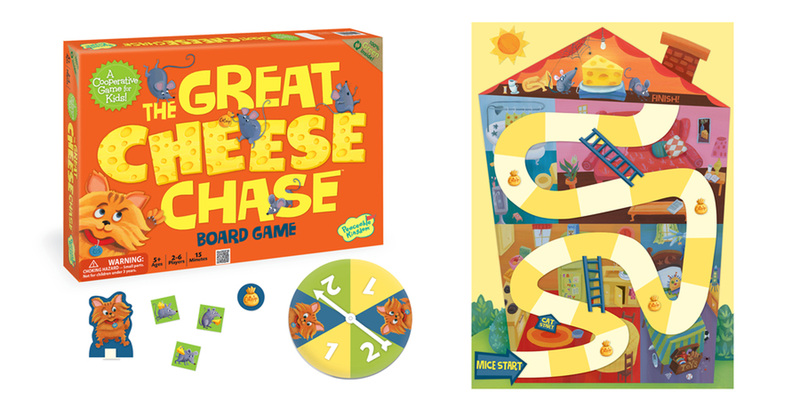 At Tiny Green Mom, we are loving the Hoppy Frog and Monster designs! Plus, Kneekers are machine washable and available in two sizes for extra comfort: Lean Leg or Chunkalicious! You can learn more about Kneekers or order online at ahgoobaby.com. 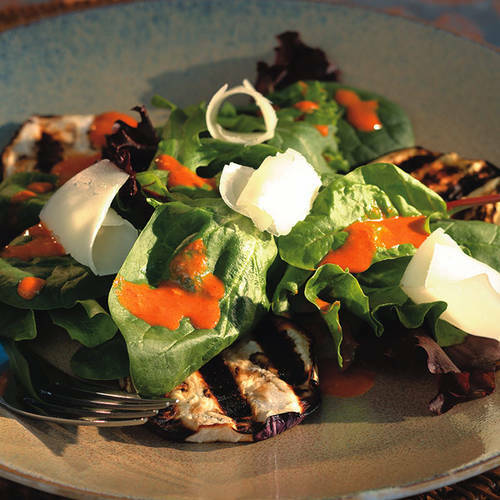 Eggplant takes center stage in this elegant Spanish-inspired salad, perfect for spring and summer grilling! 2. Cut stripes in each eggplant’s peel by running a vegetable peeler down the length of it and repeating at about 1-inch intervals. Slice the eggplants into rounds 1/3 to 1/2 inch thick. Lay them on a baking sheet and sprinkle lightly with 1/2 teaspoon salt. Let stand for about 5 minutes. 3. Blot the eggplant slices with paper towels and lightly coat both sides with olive oil spray. Grill the eggplant, flipping halfway through, until soft and caramelized on both sides, 9 to 11 minutes total. 4. Puree oil, vinegar, tomato, garlic, paprika and the remaining 1/4 teaspoon salt in a blender until well combined. 5. Toss salad greens with half the vinaigrette in a medium bowl. Arrange the eggplant slices on 6 salad plates. Drizzle with the remaining vinaigrette. Place the salad greens over and between the eggplant slices, then scatter the cheese curls on top of each salad. Serve warm or at room temperature. You may be most familiar with hydrogen peroxide as a substance used to kill bacteria and clean small cuts and abrasions. Some people also use it to bleach their hair, although chances are you only have to see the results of this disastrous usage once and you’ll never do it again. 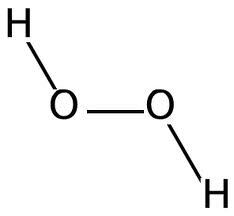 However, there are myriad ways you can use hydrogen peroxide in and around the house. For one thing, you can mix the standard 3% solution with water (1:1) and swish it in place of mouthwash. It not only kills germs on the body, but in the mouth, as well, and it can be used to treat mouth sores and even whiten teeth. Or you might put a couple of drops on a Q-tip to clean your ears when you have an infection or to loosen up wax (talk to your doctor first to see if you need it, though). But of course, you may also be looking for ways to replace other household chemicals with a natural and non-toxic product, and hydrogen peroxide can deliver. Here are just a few uses you’ll surely want to try. 1. Laundry additive. You may be aware that hydrogen peroxide can act as a bleaching agent, but did you know that you can actually use it as a replacement for bleach when it comes to your laundry? You can not only pour it straight into the bleach receptacle in your washing machine for whites and colors, but you can also pour it directly onto whites to help remove stains like blood and sweat before throwing soiled garments into the wash. You just don’t want to let it sit too long; a couple of hours are enough to remove stains without damaging the fabric. 2. Kitchen sanitizer. This product not only helps to kill harmful bacteria on the skin that could lead to infection when you get cut, but it also attacks other types of germs, as well. In the kitchen, in particular, hydrogen peroxide can be used on cutting boards and other surfaces to remove bacterial threats like E. coli, salmonella, shigella, and more, some of which can live outside the body for days or weeks. 3. Fruit and veggie wash. Rather than paying more for a sanitizing spray for your fresh fruits and vegetables, simply spritz them with a 1:1 mixture of hydrogen peroxide and water before rinsing with straight water. This will help to kill any bacteria populating the surface and get your fresh produce as clean as possible before ingestion. 4. Plant protector. You might feel a little weird about watering your plants with hydrogen peroxide, but when you mix 1 ounce or peroxide with 1 quart of water, you’ll actually add oxygen to the soil, much like rainwater. This can provide your plants with additional nutrients and help to stop root rot if you’re particularly liberal when it comes to watering. It addition, it can act as a pesticide the drives away insect in the soil. And if you spray leaves with a 1:1 water and peroxide solution, it can ward off many air-bound insects, as well. 5. Household solvent. Although you’ll still have to call out Filan and Conner Plumbing (or your local service provider) to deal with clogged drains, hydrogen peroxide can definitely be used to attack the germs and bacteria living in sinks, tubs, and toilets. In fact, you can use it in much the same way as vinegar, by mixing it with water in a spray bottle and using it to scrub surfaces that tend to pick up the most germs. Of course, you might not want to use it on wooden surfaces or electronics, but if you’re looking for more germ-fighting power than your standard vinegar, baking soda, or lemon juice solutions can provide, hydrogen peroxide is an excellent choice for every room in the house. 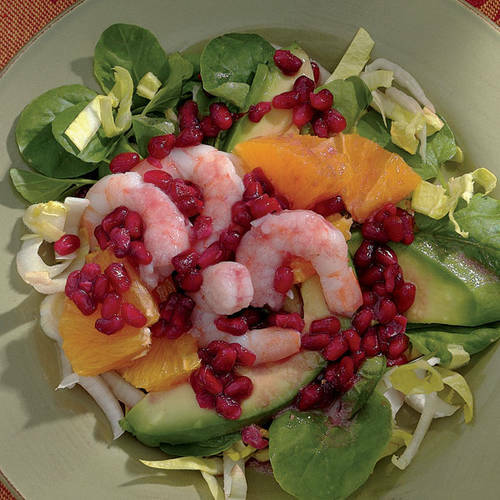 Love the combo of avocado, shrimp and pomegranate (for just the right amount of tartness) in this unique salad! Peel oranges with a paring knife, removing the white pith. Quarter and slice the oranges. Wipe endives with a damp cloth (do not soak–they tend to absorb water); cut into 1/4-inch-thick slices. Peel and pit avocado; cut into thin slices lengthwise. 7. Alternate avocado slices and orange sections in a fan shape on each of 4 salad plates. Top with endive, watercress and shrimp, if using. Drizzle with dressing, sprinkle with pomegranate seeds and serve. This recipe is super simple and super healthy, brimming with your choice of vegetables! 1. Place vegetables inside the IMUSA steamer baskets and bring 2 cups of water to boil in a wok or medium saucepan. 2. To make dipping sauce, in a small bowl or cup add ice water and cornstarch and mix until fully dissolved. Set aside. 3. Remove juice of canned pineapple, about ¾ cup, and place in a small saucepan. Reserve pineapple chunks for other use. 4. Add vinegar, sugar and salt to saucepan and heat on medium high, whisking frequently. 5. Once simmering, drizzle in cornstarch mixture and whisk briskly until sauce thickens. Remove from heat and pour dipping sauce in a bowl. 6. To steam the vegetables, place steamer baskets with veggies on wok or saucepan and steam for 4-5 minutes. 7. Remove immediately and serve with sweet and sour dipping sauce. When it comes to your garden, you no doubt want a lot of greenery. But many homeowners these days are also looking to greenify in every aspect of their lives, and believe it or not, your garden may not be as eco-friendly as you like to think. Sure your gas-guzzling car and power-sucking electronics might seem to do more harm to the earth, but if you’re using chemical fertilizers and pesticides and watering your lawn daily, the exterior of your home could be taking just as much toll on the environment as the interior of your house. So here are just a few tips to help you go a little greener when it comes to your springtime gardening routine. 1. Go for the old. The expression, “out with the old and in with the new” is not one you want to adopt if your goal is to go green. Instead, try to recycle as much as you can when it comes to your garden. Along these lines, you might consider setting up a compost heap to create fertilizer for flower beds. Or you could use yard clippings and dead overgrowth to create mulch to spread around trees and planters as a way to retain moisture that might otherwise evaporate. Even better, though, you can find all kinds of ways to use old household items in your garden. Instead of throwing an old dresser in the trash, repurpose the drawers as planter boxes. And if you have a flat tire that’s no longer usable, save it for spring – you can hang it on an exterior wall and turn it into an eco-friendly planter. 2. Natural pest control. 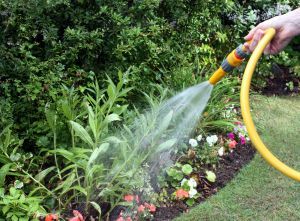 Keeping away the pests that devour your pretty garden can be quite a chore, especially if you’ve sworn off chemical pesticides. But there are all kinds of natural solutions at your disposal. Planting garlic or onions around the perimeter of a garden can help to keep many bugs at bay, but putting fresh garlic around roots in your rose garden will kill aphids on the plants. And there are many more options, depending on the pests that plague you. As for animals that come around to eat your veggies, ask about cat urine at your local nursery. They often sell it by the bottle and spritzing it around the fence line should scare off most nibblers. 3. Grow organic produce. Growing your own organic fruits and veggies is not only a great way to give your family healthy fare year-round (canning and jamming in the fall means great-tasting goodies throughout the winter), but it also allows you to boycott the chemically-treated fare at the grocery store, which doubles its carbon footprint through shipping. 4. Put in a cistern. Drawing on the clean water supply to keep your lawn and garden green is hardly eco-friendly. But installing a gray-water system may be outside your price range. Instead, put in a cistern that collects rainwater to use on your lawn. It’s an affordable compromise that will pay for itself over time as you save on your water bill. 5. Native plants. You may love the look of Asiatic lilies or birds of paradise, but choosing exotic plants can upset the natural balance of your native ecosystem. Instead, head to RTC landscaping (or your local nursery) for a lesson in native plants. And think about asking for drought-resistant options, as well, so that you can enjoy your greenery with less need for water. 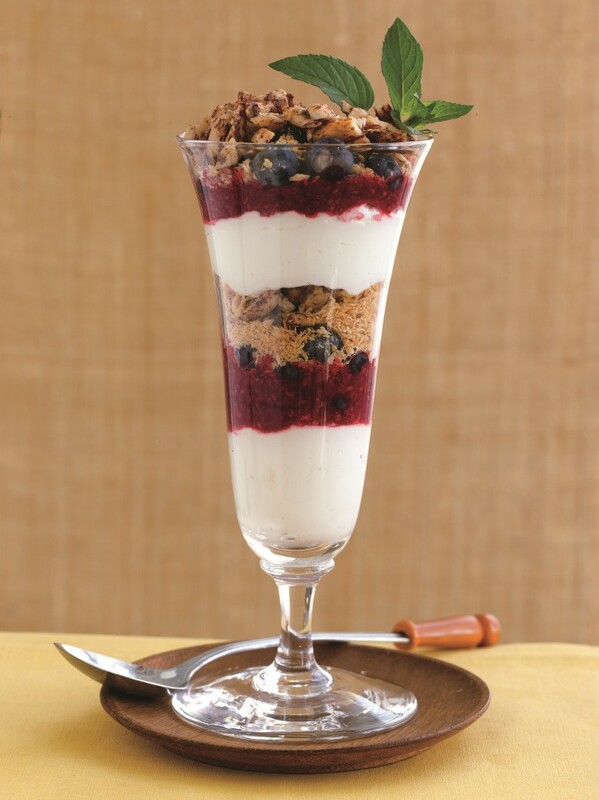 This sweet and tangy parfait layered with coconut, almonds, and fresh berries would also make a great dessert. If you can’t find fresh raspberries, feel free to use thawed unsweetened frozen ones. To boost your protein intake, have this with a low-carb bar or a hard-boiled egg. Find unsweetened coconut in the baking section of a well-stocked supermarket or in a natural foods store. 1. Combine cream, ½ teaspoon sugar substitute, and coconut extract in a medium bowl; whip with an electric mixer on medium speed until stiff peaks form. Fold in the yogurt. 2. Purée raspberries and remaining sugar substitute in a blender until smooth. 3. Using 4 parfait glasses, alternate layers of whipped cream, raspberry purée, blueberries, nuts, and coconut, making two layers of each. Serve right away. To toast coconut in the oven, spread it in a thin layer on a baking sheet and bake at 300°F for about 20 minutes, stirring every 5 minutes to ensure even browning. From “The New Atkins for a New You Cookbook” by Colette Heimowitz. Copyright (c) 2011 by Atkins Nutritionals, Inc. Printed by permission of Touchstone Books, an imprint of Simon & Schuster, Inc.